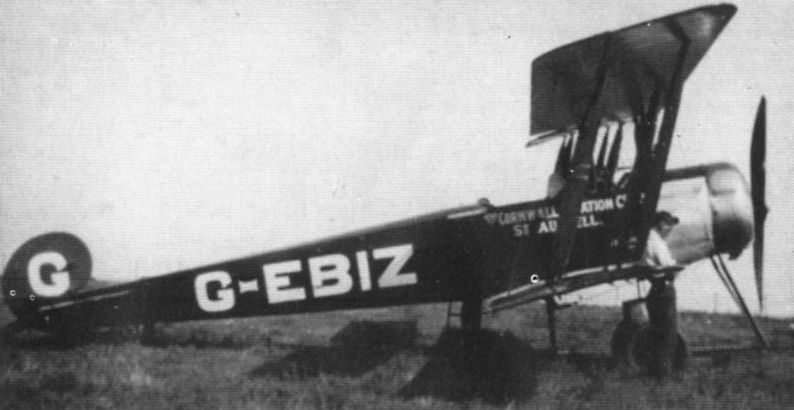 Heading picture shows the author sitting atop of his own Avro 504K, G-AAEZ, during the brief period that he traded as Aeroplane Services Ltd in 1929. A. J. Adams going for a walk on Avro 504K GEBNR. The circus comes to town. The author is at extreme left. The two men who created the Cornwall Aviation Company. 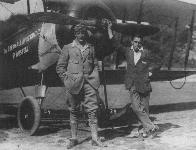 On the left is Capt Percival Phillips the much loved Cornishman who personally gave more than 90,000 people their first taste of flying. On the right is the author who left the company in 1931. 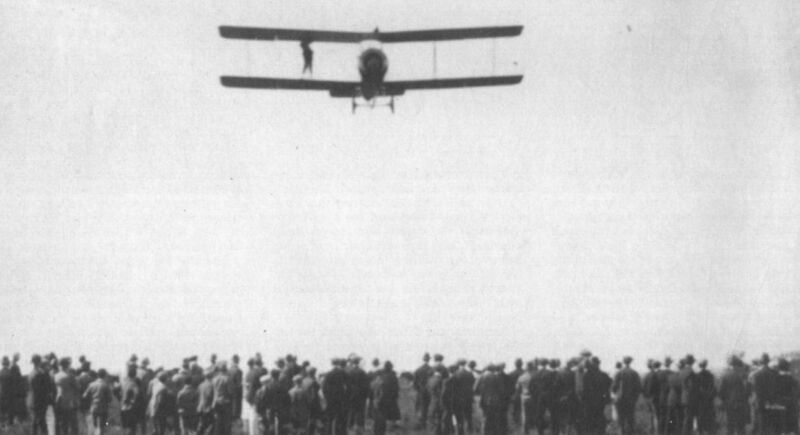 The Cornwall Aviation Company’s first aircraft was this red and white Avro 504K, purchased in May 1924. 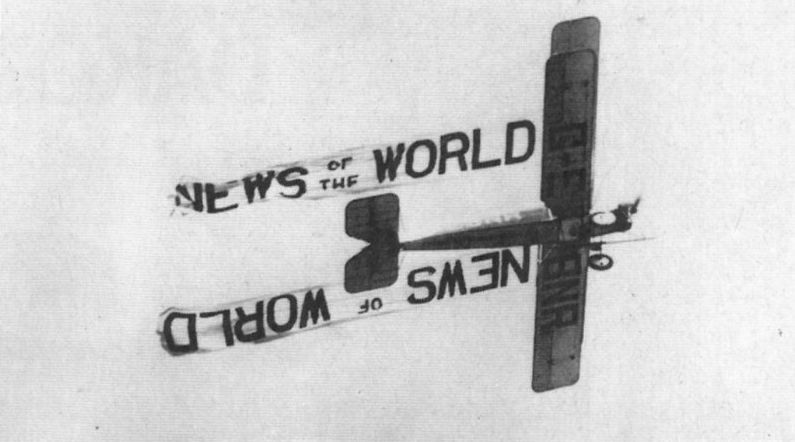 During 1928 this Avro 504K towed a newspaper banner over the South Wales valley. Avro 504K G-AAAF was bought in September 1928 and remained with the company until August 1933. After numerous subsequent owners the aircraft was burnt at Gatwick in 1939. Avro 504K G-ABHI flew with Cornwall Aviation from April 1932 until January 1934, when it was withdrawn from use.